New York used to be a gritty town. Ed Koch was mayor, the subway trains were covered in graffiti and filth (and not just the dirt kind), and people had accents. Nowadays everyone's from Ohio and the trains sparkle, but this Lincoln Town Car is a reminder of the years when New York's attitude were as up-front as the Lincoln's towering grille. The current Lincoln Town Car is comfortable enough, I suppose, but for me it doesn't have the same character that the first generation had. 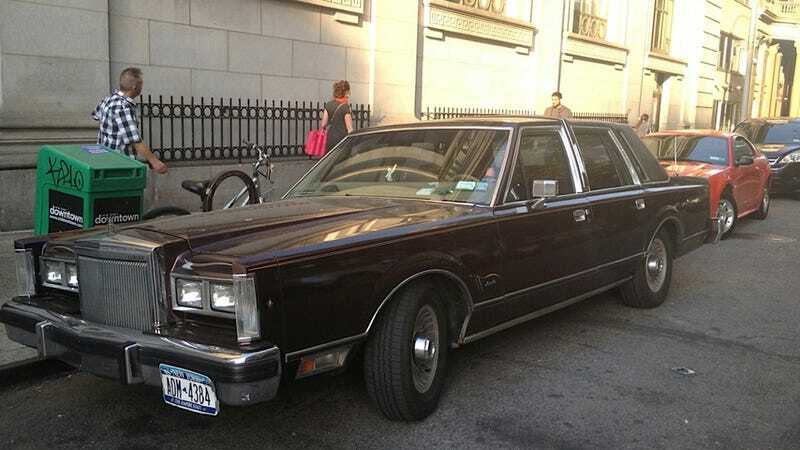 The first generation of Town Car, made from 1980 to 1989, has that enormously long hood, a relatively short cabin, and about a billion feet of overhang off the rear tire. It used to be an emblem of the elderly but now, dare I say it, it has almost become cool. The original Lincoln Town Car is nothing like cars on the road today. It's not aerodynamically designed, it's not made out of plastic and composites, and it's certainly not about to win any friends in the environment. And maybe that's what makes it great – it makes no apologies for the era from which it came from, and the era from which today's modern New York came from.